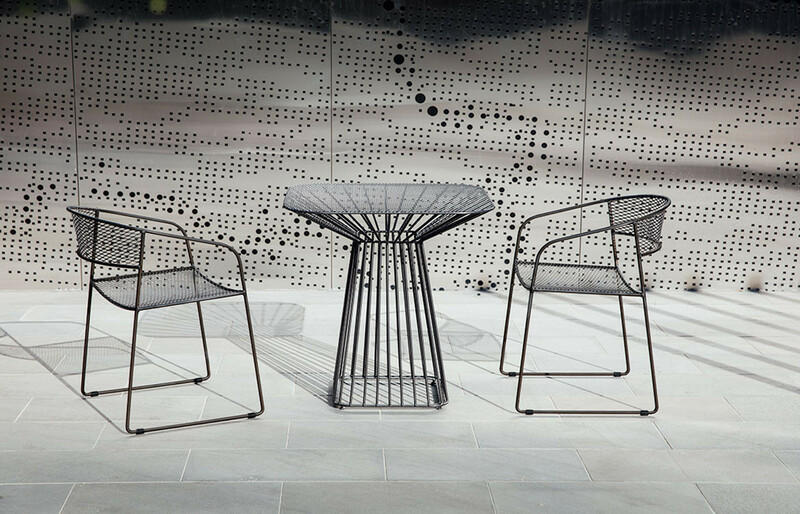 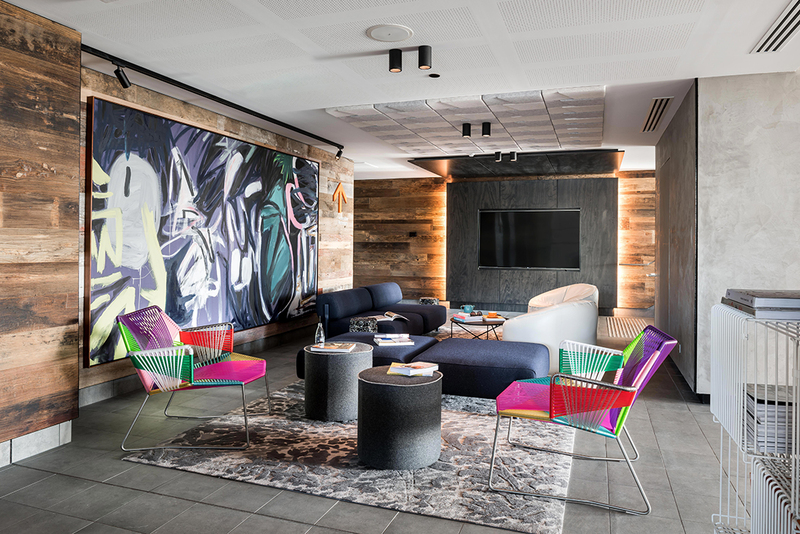 A Home Inspired By Melbourne’s..
Rebecca Gross finds that the newest generation of hotels, such as Aloft by Design Theory, are providing lively and connected design-led destinations for visitors and locals. 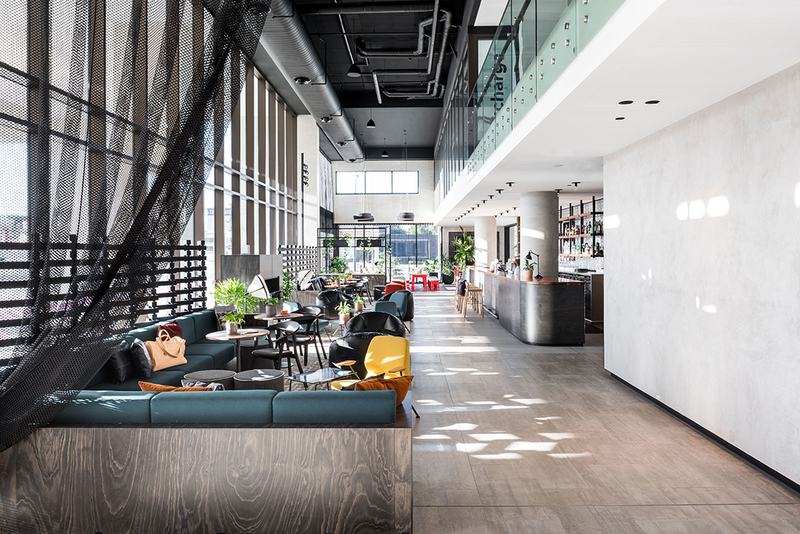 Hotels are no longer just a place to stay, but rather have become lively and connected destinations for visitors and locals alike. 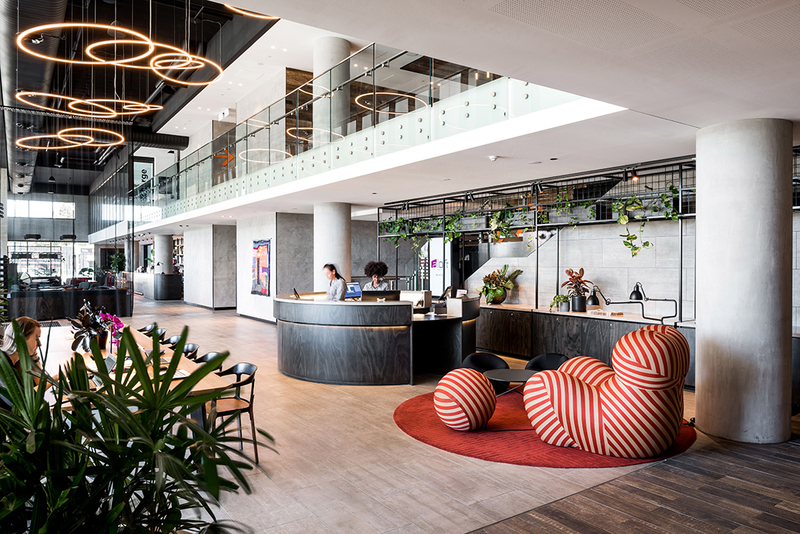 As trends in the travel industry have shifted, due in large part to AirBnB, large and small hospitality brands have reacted and adapted with a new generation of hotels, such as Aloft Perth. 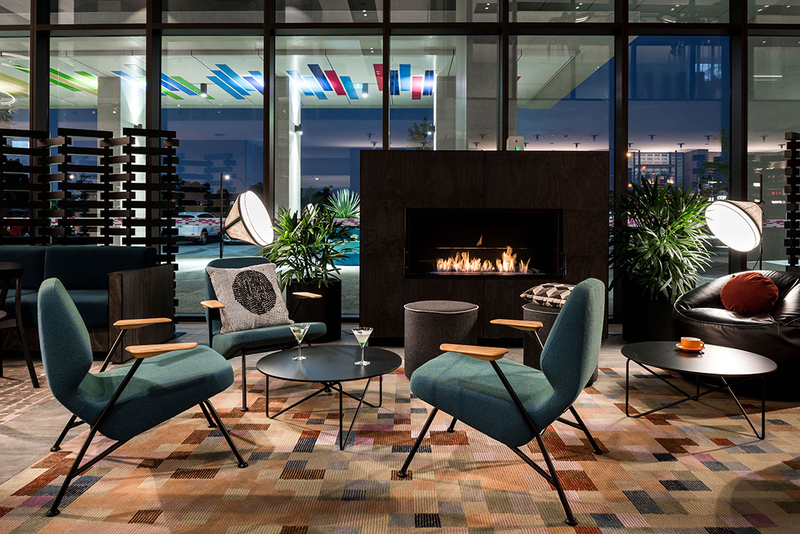 Aloft is Marriott Hotels’ urban, modern and affordable offering aimed at the social and tech-savvy millennial. 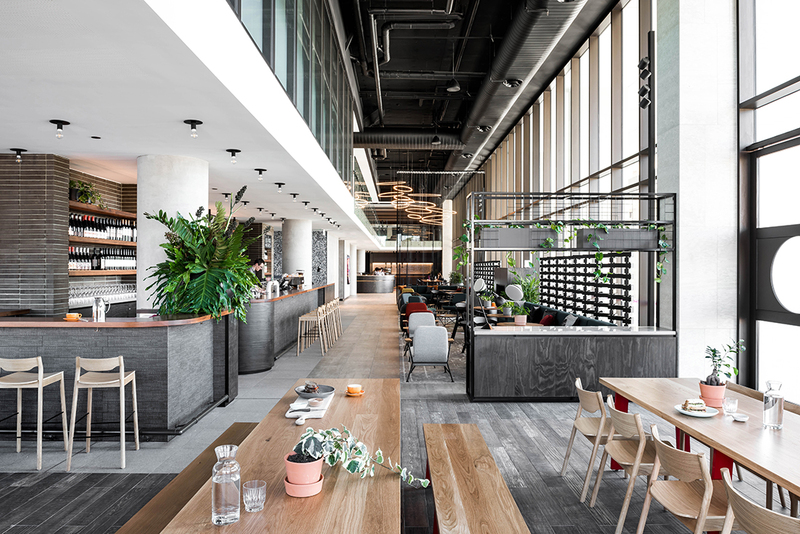 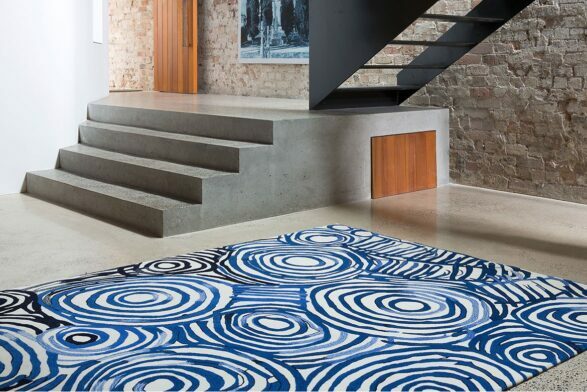 “Loft spaces are synonymous with large volumes, industrial details, exposed services, large rugs, open floor plans and warm loose furniture, so we developed colour and texture palettes to express the concept confidently and comfortably,” Lisa explains. 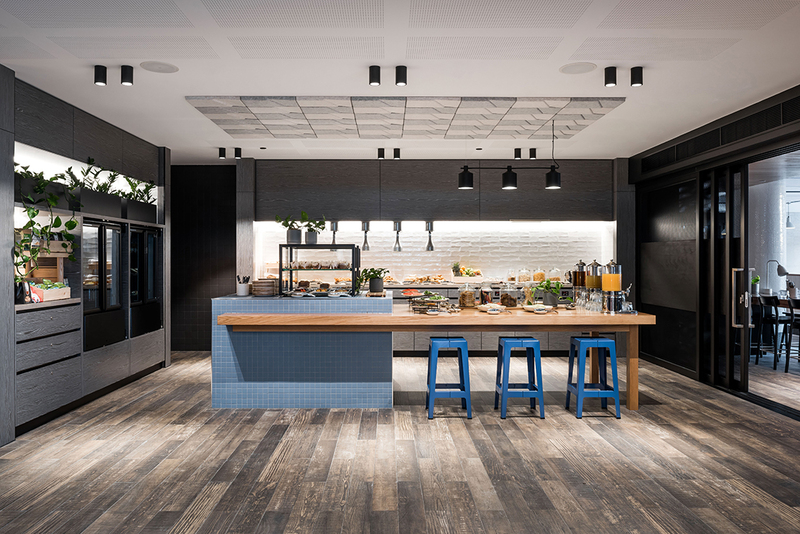 The “loft” concept lays the foundation of each space, with each area given unique colours and finishes for its own identity. 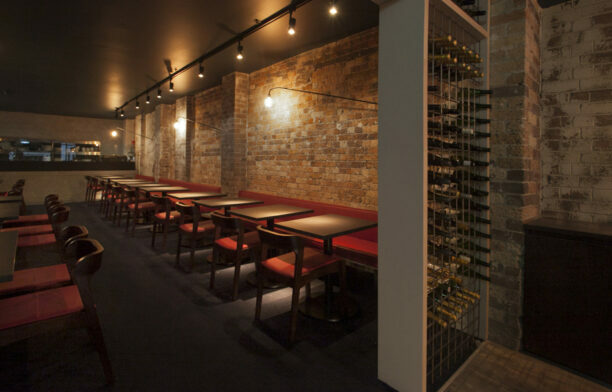 The WXYZ bar has a darker palette of blood-red accents, mustards and dark green wools that speak to the warmth of the fireplace; the Backyard games area has bright and punchy colours; and the Springs Kitchen café and restaurant has a lighter, fresher palette of terracotta, turquoise and white to reflect the local produce, climate and landscape. 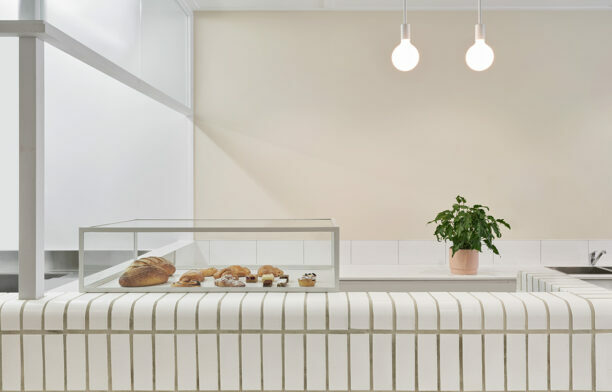 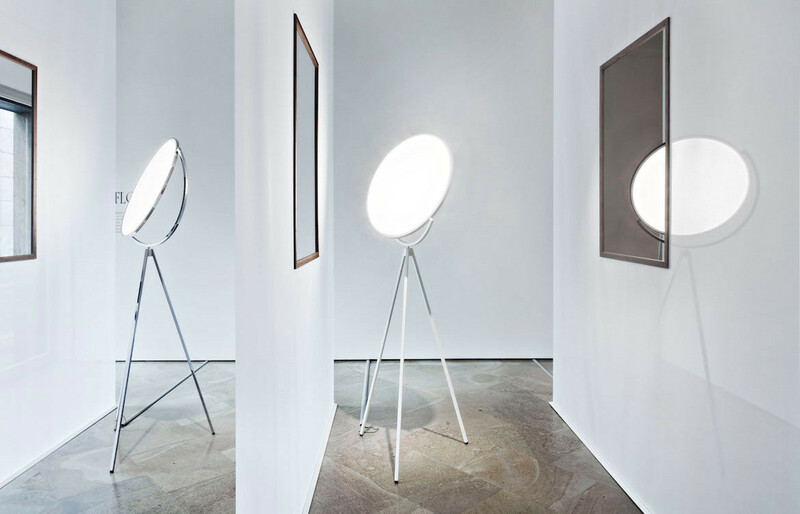 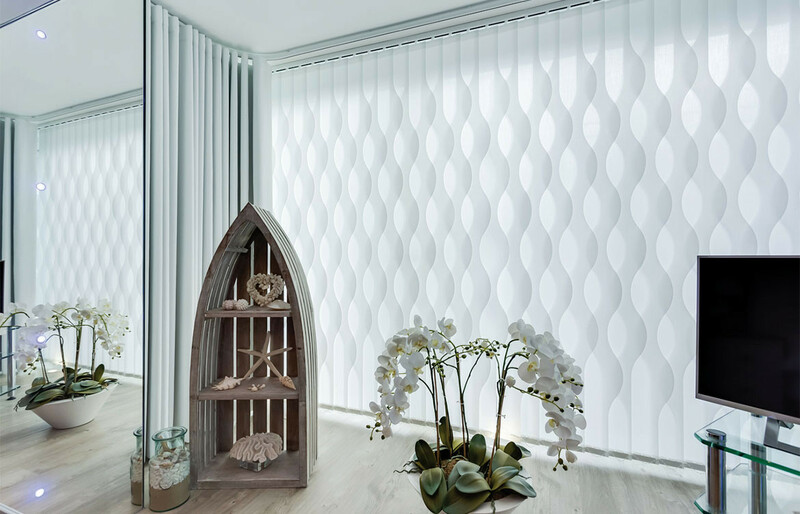 Attention to the connections between adjacent spaces ensured a natural and logical transition from one to another. 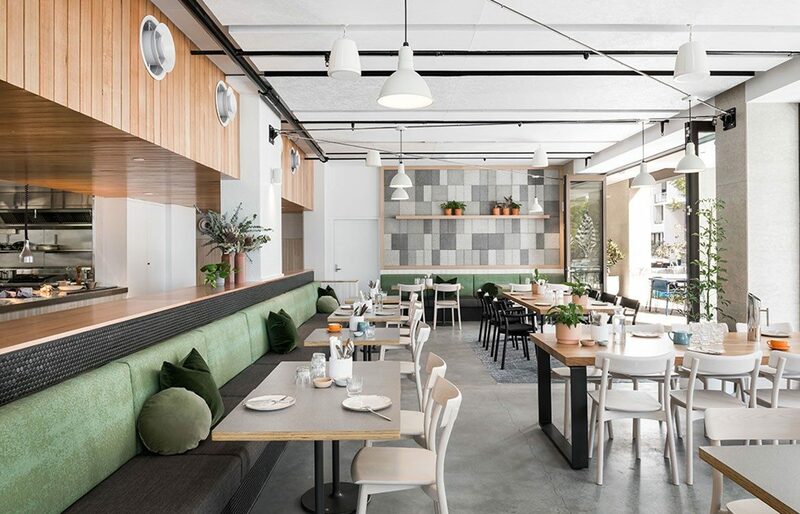 The Perth location also played a major part in the design. 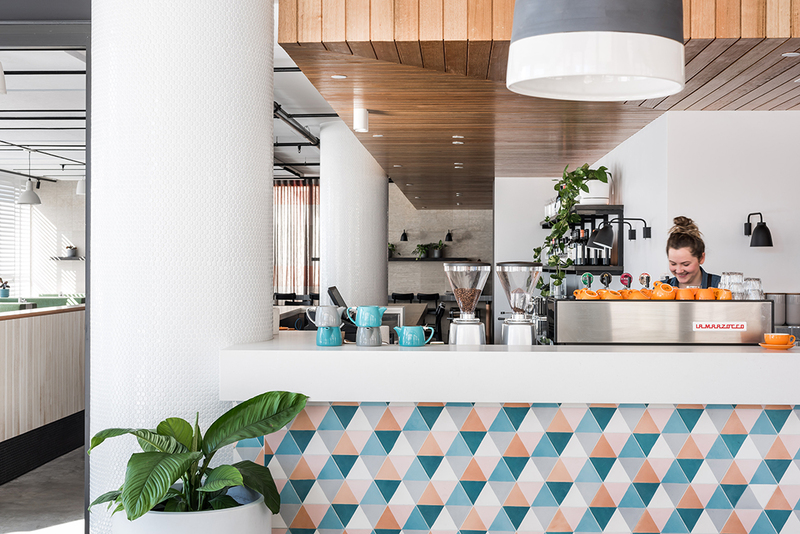 “We wanted to showcase the best parts of living in Western Australia: our natural light, climate and easy-going lifestyle,” Lisa says. 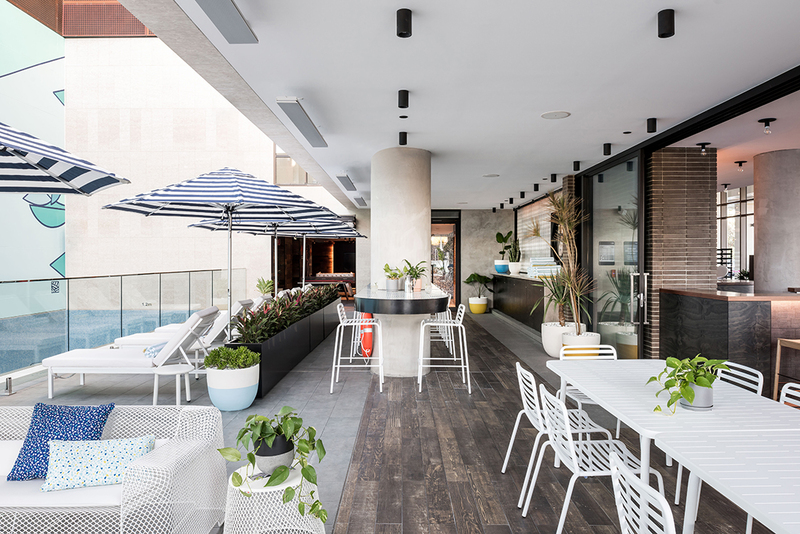 As such the design connects indoor and outdoor spaces wherever possible; sliding shutters open to filter the light for the time and mood of the day; and the “non-traditional” and flexible lobby with communal tables and bar opens to the outdoor seating and pool area behind. 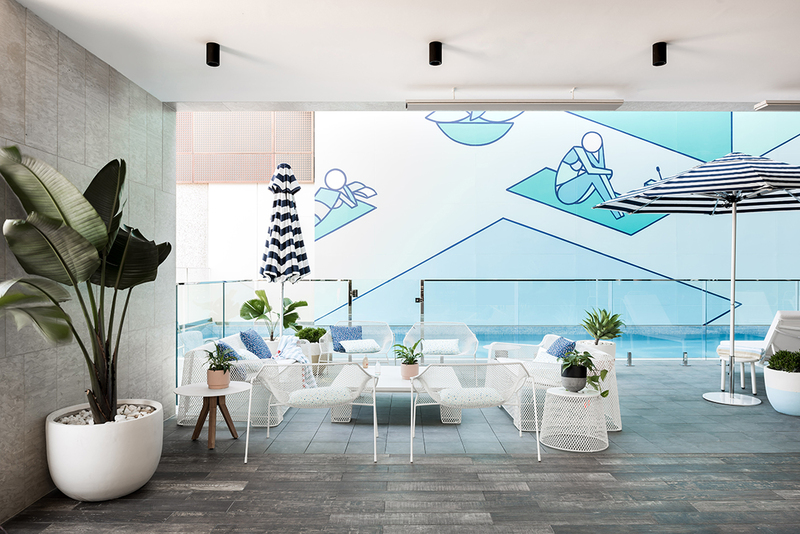 Lisa invited local artists such as Elle Campbell and David Spencer to create mixed-media pieces and large-scale insitu works, including the mural on the pool wall. 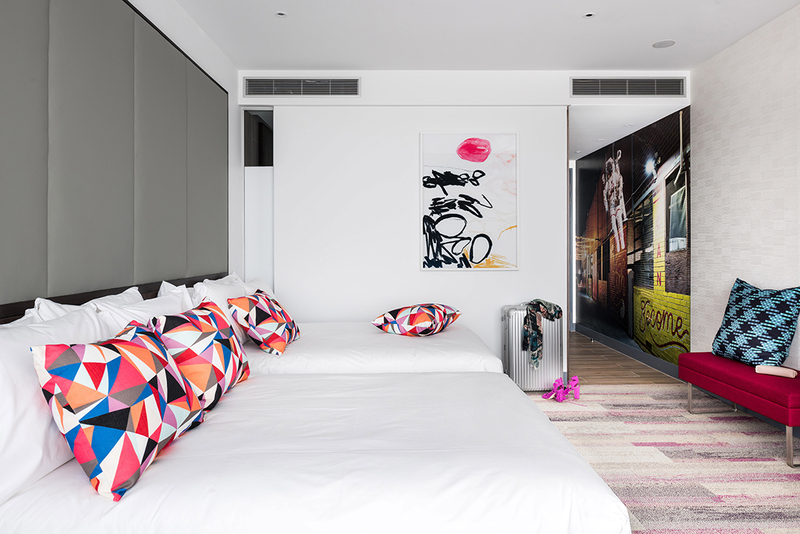 “We commissioned Mike Gray to create a striking photographic series to be featured throughout the guest rooms, and I went on late-night adventures with Mike and his projector to capture images amongst Perth’s laneways,” says Lisa. 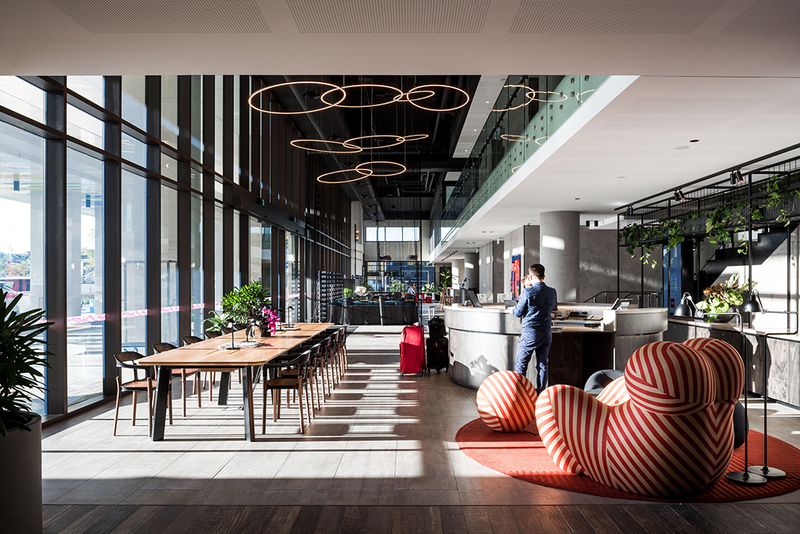 Design Theory also furnished the mezzanine, conference rooms, rooftop terrace and guest rooms with soft furnishings.